Great quality! Available in a variety of different shades so there is something for everyone. Long lasting, and easy to apply. 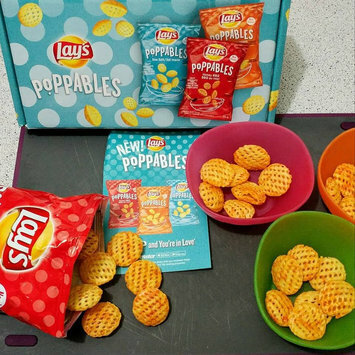 These new Lays Poppables are 100% delicious and so much fun! I love how the flavour is consistently yummy all over. They are the perfect size, no more searching through the chip bag to find a "good sized" chip to fit perfectly in my mouth. The crunchiness is spot on, really innovate product in keeping us chips lovers happy! I didn't think I would like the flavour very much, as BBQ isn't often a favourite flavour of mine but I found these quite addictive. I look forward to the expansion of their flavour selection. A very high quality nail clippers. Originally bought for myself but my husband has taken to using them as they work so well! Gentle enough that I can use on my kids without any stress as well. I signed up for IPSY in order to treat myself to some monthly goodies & learn more about makeup and beauty product. This was the best thing ever! I love looking forward to my IPSY every month. The products are always high quality and matched just for me. Very affordable and I highly recommend! I even signed my sister up ! 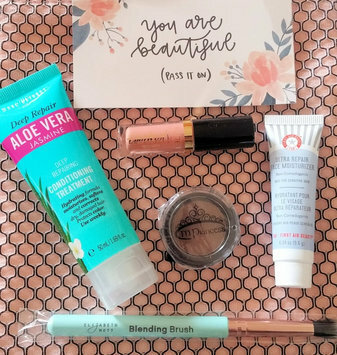 I received this item in my IPSY bag and was very impressed! I found it to be easy to apply and provided great coverage across my face. 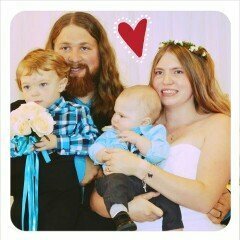 It didn't make my skin feel oily at all- but it did help to make it softer and moisturize it! I would 10/10 recommend to others. Great for use on its own (for when I'm in a rush) or for using with my foundation for extra coverage.